Home Uncategorized Creating roads in Vue using Shake. 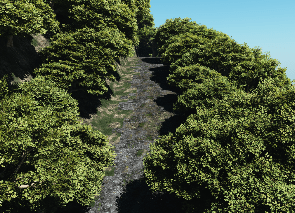 If your keen on Vue you may like a tutorial I recorded that shows how to create roads on a Vue terrain using Shake. If you don’t know what Vue or Shake is it could possibly be the most boring thing you’ve ever seen. Note that this tutorial could be used with any height map from many sources incl. GIS data. You could also use any node based Compositing software (like Nuke). You could do this in photoshop however after watching this you’ll see why a node based compositors is sooo much better. Good stuff. I don’t use Shake, but it seems like from what you seem to be doing that you could use PhotoShop to achieve some of the same effects – using layers and Multiply, ya reckon?